"Russia is very likely to try to intervene in the European Parliament elections to secure as many seats as possible for pro-Russian or eurosceptical political forces," writes the report's author Mikk Marran, director general of the Estonian Foreign Intelligence Service. The report says Russian intelligence services will continue the extensive cyber espionage campaign against the West that they have pursued for years, with the military intelligence service, called the GRU, and Russia's spy agency, the Federal Security Service (FSB) directing most operations. Cyber espionage groups APT28 and Sandworm are the most active of the Russian-backed groups, usually exploiting simple online tools and tactics, like phishing campaigns and "most likely to blur the line between clearly state-sponsored attacks and the activities of online activists and profiteering cyber criminals," the report says. SNAKE APT, a group tied to the FSB, operates more covertly, according to the report. "Most cyber and information operations originating from Russia are led by the special services, particularly the FSB and GRU," who often enlist cyber criminals to do the work for them. "All Russian communications service providers are required to give the FSB access their networks and information," says the report. Russian authorities force service providers operating in Russia to disclose their decryption keys, while the FSB works to decrypt communications from foreign service providers. The report also tracks Russia's military activities. Last year, says the report, the Russian military expanded its military build-up along the western border, placing seven new maneuver regiments less than 50 km from the border. Most units are based near Ukraine and Belarus, but one division, the Pskov Air Assault Division, near the Estonian border "became the first division of Russian Airborne Troops to be reinforced with a third regiment." "Russian armed forces are preparing for a possible war along a wide front," the report says. Analyzing Russia's most recent exercises, the report finds that "Russian armed forces are consistently practicing for an extensive military conflict with NATO." Leadership in Russia fears the spread of democracy and Russian armed forces leaders believe a military conflict with NATO will be sparked by a "colored revolution" in one of Russia's neighboring countries, in other words Western intelligence services encouraging democratic uprisings. 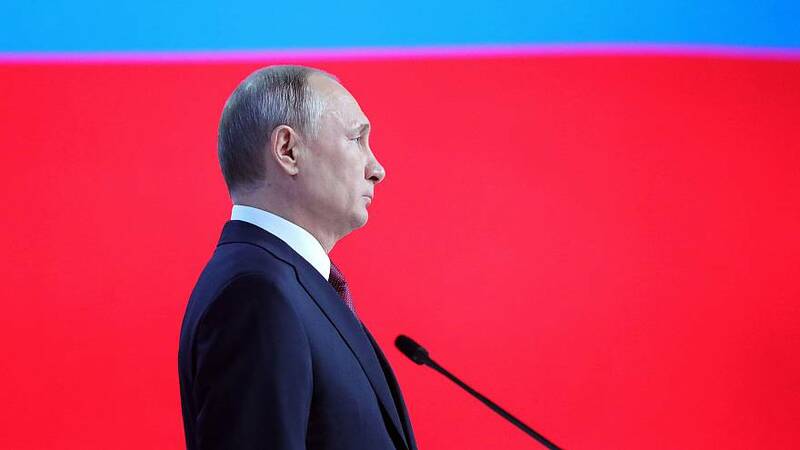 Vladimir Putin continues to focus attention on Belarus and moving both the leadership and population closer to Russia and away from any western influences, according to the report. "If anything unexpected should happen to President Alyaksandr Lukashenka personally or to his regime, there will be a great risk of swift military action by Russia to prevent Belarus from becoming a pro-Western democracy," the report finds. A new trend identified by the report is the Russian state enlisting civilian ships and vessels to carry out activities on behalf of the government. The report identities "provocative behavior" of Russian civilian ships, including entering territorial waters without permission and carrying out research on a nation's submarine communication's networks. Shipowners and crews must at all times be ready to perform national assignments, regardless of geographical location, the report warns. "The Russian civilian fleet and its activities are a potential security threat," it says. "More attention should be paid to Russian civilian vessels sailing under the Russian flag."